Last week, I responded to a column written by former Labor leader and resplendent stay-at-home dad/gourmet cook/native gardener extraordinaire, Mark Latham. My response was one of many “left-feminist” perspectives roundly criticising his remarks. This one is a doozy. Yesterday morning, I read Mark Latham’s latest offering in the Australian Financial Review. Ever since he famously called then PM John Howard an arselicker back in 2002 I’ve taken an interest in what he’s saying or doing. Primarily because he loves a good swear and speaks his mind- regardless of whether or not he should. 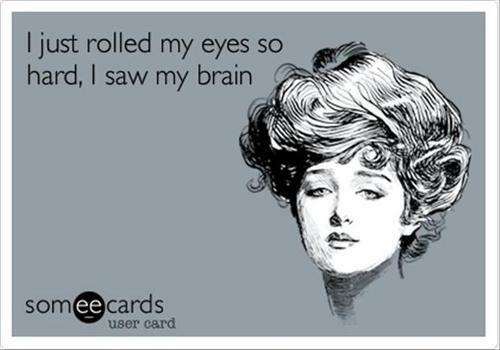 I do that too, on occasion. That seems to be where the similarities end, thankfully. And I couldn’t resist. I clicked the link and read on. Admittedly, my eyes rolled so far back in my head in places that I may have missed a line or two. I don’t even know what’s worse- Latham’s attempt at mansplaining feminism or his somewhat hysterical attempt to diminish a person because she takes medication. Yet, no where does Ms Pryor state that her need for anti-depressant medication is the fault of her children. That’s a pretty big leap. A better question is now how will they feel when they grow up and see that ex-politician Mark Latham has blamed them for their mother’s depression? Personally, I think that acknowledging that you are depressed is a big thing in itself. Whether the help you need is medication or therapy of some sort- seeking that help is a big deal. I have known more than one person to suffer depression. I have suffered it myself at times. It’s bloody terrible and it’s really hard, if not impossible, to pull yourself out of it alone. Lisa Pryor recognised the problem, got help and is now talking about it. She’s breaking down the stigma, she’s being human and vulnerable. And she’s doing it so that other people can talk about it too and maybe avoid depression in the first place. For this, Mark Latham is calling her a coward. When he got testicular cancer back in the 90’s, should he have just, what, toughed it out? Refused treatment in a show of idiotic “bravery”?? I have no idea if Lisa Pryor is a feminist. It wasn’t mentioned once in her article. But Latham has certainly taken the opportunity to blast us lefty feminists anyway. He leveled a few other attacks I’d like to answer here. Well, Mark, perhaps because people with conditions like depression are able to manage those conditions through appropriate therapies and it does not exclude them from being wonderful parents. That might be one reason why. Lisa Pryor didn’t say her children don’t bring happiness. Not once. Depression isn’t as simple as being a bit sad. If your children’s smiles bring you happiness, that is wonderful. If you don’t require further treatment than that, you probably don’t suffer from depression (I’m guessing, I’m no doctor). 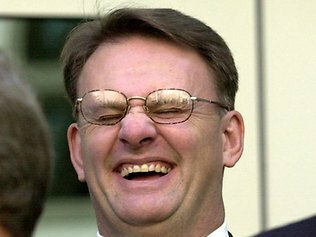 Latham may as well get upset when someone else needs a cold and flu tablet because his nose isn’t running- that’s how much sense his outrage makes. So, Merriam Webster’s defines a neurosis as something based on emotional conflict in which an impulse that has been blocked seeks expression in a disguised response or symptom. So, the belief that women should have the same rights that men already have is essentially a mental illness. You don’t REALLY want that equality! Not REALLY! You think you want it but really you want something else because you have a disorder. Confusing. Because mental health conditions require treatment, right? But, according to Latham, seeking treatment for a mental health condition is cowardly. All that gardening and stuff is JUST LIKE full time medical school. He may as well be given an honorary medical degree for all those gourmet meals. In all seriousness though, he neglects to mention that he is able to live this lifestyle with the aid of a parliamentary pension (Some $200K per year) income while still earning additional income from his writing commitments etc- something most of us child-hating, lefty feminists just don’t have the luxury of doing. 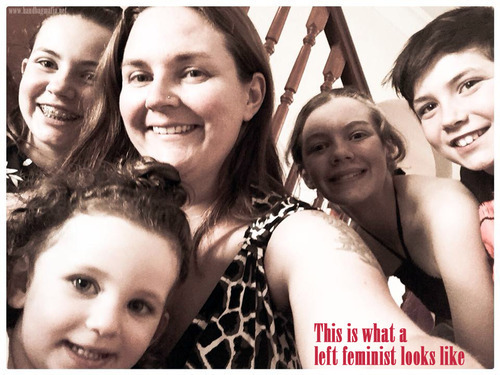 Latham then compares all women to those in Western Sydney and finds the rest lacking, because Western Sydney women don’t seem to suffer from Feminism. They don’t want to work and find joy in child rearing. Not like the rest of us child-hating lefties who only want to work and dislike all children but most especially our own, am I right? What did you think when you read his article?